This article is simple yet full of wisdom regarding coaching parents in meaningful strategies for developing listening and spoken language for their child with hearing loss during natural, regular and common experiences including daily routines. Great article - Way to go Dorie! 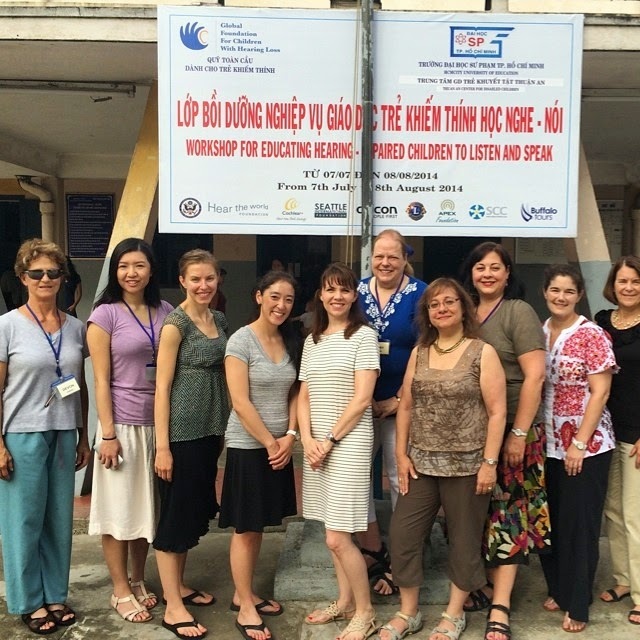 I met Dorie Noll when we volunteered together in Vietnam with the Global Foundation for Children with Hearing Loss in July of 2014.
in Chicago on March 20, 2015.
it as a "Must Read" to all those in attendance. This article can be found in the Volta Voices Magazine. 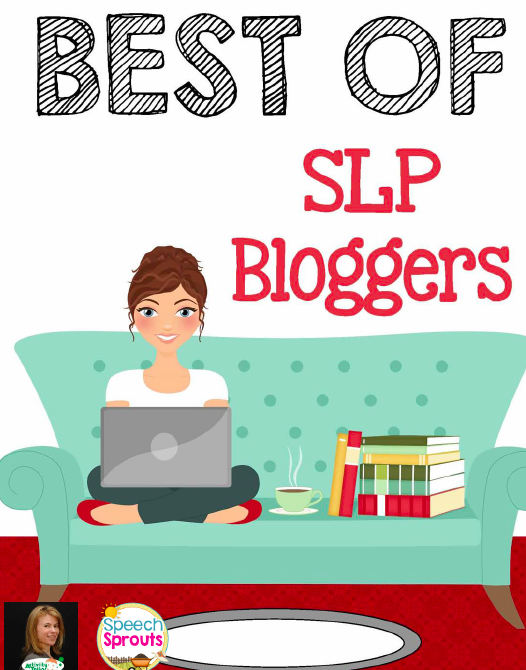 Listening and spoken language professionals who deliver services to young children with hearing loss and their families—such as early intervention providers, speech-language pathologists, teachers of the deaf and hard of hearing, and Listening and Spoken Language Specialists (LSLS®)—have limited, precious time each week or month to do so. They are charged with using each visit or session to prepare those caregivers to take on a task that is unfamiliar to most people: teaching listening and spoken language skills throughout the day to a child with hearing loss. These professionals must use the limited time during visits as efficiently as possible to maximize the caregivers’ potential at teaching these skills to their child between visits. Caregivers are faced with challenges and demands on their time no matter what. 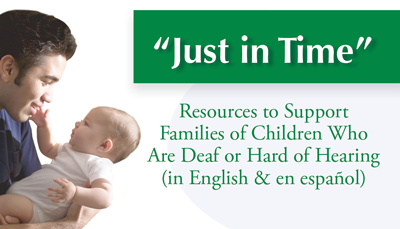 Moreover, caregivers who must explicitly teach a child with hearing loss to listen and talk have even more to accomplish in a day. The most efficient and effective approach to coaching caregivers on how to do this is to teach them strategies for improving their child’s listening and spoken language during natural, regular and common experiences, including daily routines. This allows caregivers to accomplish their daily caregiving duties while using those same activities to teach spoken language skills. Professionals must first help parents identify the language their child needs to learn, based on their specific routines, in order to communicate successfully in their home environment. This begins with the first session, during which the professional and the caregivers talk through the child’s routines. Caregivers identify parts of the day which are successful and other times that are a struggle. Sometimes, difficult parts of the day can be improved by focusing on the language the child needs to successfully participate in that routine. By focusing on the language surrounding daily routines, the child gains valuable skills that will help him/her communicate with his/her family, rather than learning a specified set of vocabulary words associated with a particular toy or game. This allows for more practice, embedded in routines that happen naturally and regularly, and provides the child with functional tools to communicate. One daily routine that can easily be enhanced with language development strategies is diapering. 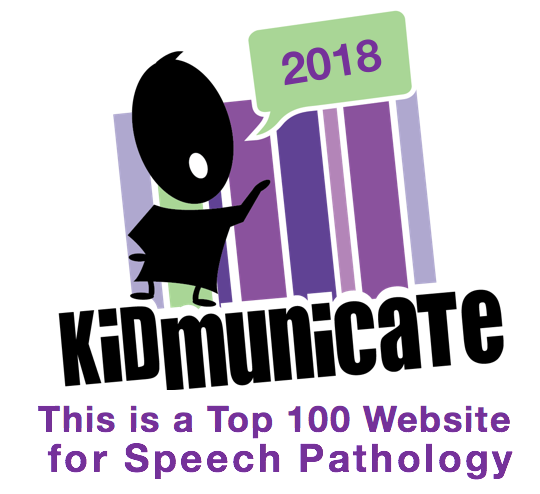 This repetitive activity performed multiple times per day provides ample opportunity for the practice of meaningful language as well as face-to-face interaction from an ideal distance for listening. Optimally, diapering should occur in a quiet environment with minimal background noise. The caregiver can take a little extra time to narrate what she/he is doing as she/he does it. Diapering also provides lots of opportunities to talk about body parts, items of clothing, or to play peek-a-boo or a tickle game. The caregiver can hang a small mirror on the wall next to the changing table and incorporate a few moments of mirror play. This simple activity can be enhanced to create a warm, language-rich interaction between caregiver and child, rather than a chore that must be rushed through many times a day. Feeding is another repetitive routine that can easily be enhanced to incorporate listening and spoken language strategies with an infant. As with diapering, the professional can encourage caregivers to feed their baby in a quiet environment, with minimal background noise. Cradling the baby in the arms creates an optimal distance for listening and meaningful interaction, whether breastfeeding or bottle feeding. By taking the time to interact warmly with their baby, caregivers are helping to create a secure attachment as well as a motivating time for listening. During feedings, the caregiver can sing songs, talk about body parts, or just speak softly and warmly about the day. Using a standard cradle hold to feed a baby is very natural, but can be tricky for a baby with hearing aids because of potential feedback. By simply altering the baby’s position from a standard cradle hold to a football hold, the caregiver decreases the potential for feedback and can be confident the baby is prepared for a wonderful listening opportunity. Busy caregivers can even incorporate strategies while running errands to create meaningful listening and language experiences for their infants or toddlers. Putting the infant carrier or the toddler in the grocery cart, for example, is a good face-to-face interaction that can help minimize the distractions of a noisy environment at the grocery store. Professionals should encourage the caregiver to use self-talk as he/she chooses which apples to buy (“I wonder which apples I should get. I like the green apples, but the red apples are on sale. I think I’ll get the red apples today.”), or narration as they walk down the aisles and look for all of the items on their grocery list (“OK, we have the milk, the bread and the eggs. Next, we need to get cheese. Where is the cheese? Oh, here it is.”). These opportunities add to the baby’s listening and language exposure while allowing caregivers to accomplish the tasks of a busy day. Playtime is an important routine in which caregivers can enhance listening and language. For an infant, this may mean simply holding the baby face-to-face, without obscuring the hearing technology, and singing or talking to him/her. Caregivers can get down on the floor next to the baby and talk to him/her about the toys he/she is batting or activate a musical toy while cuing the infant to listen. Reading books is a valuable experience for every child, and caregivers can learn the value of reading books, using a rhythm while reading aloud and just talking about the pictures. Infants and babies benefit from time spent every day interacting directly with their caregivers during play. Caregivers can use parallel talk to provide the valuable language of play. For example, “I see you are building a tower. I see a blue block, a red block and a yellow block. Up, up, up, dowwwwn! Uh oh! You knocked them down!” Caregivers can use language to help the child initiate play (“Let’s ask Daddy. Daddy, do you want to play?”), ask for help (“Oh no! You can’t get the lid off of the box. Do you need help? You can say, ‘help me.’”), and appropriately negotiate play (“Oh, do you want a turn? You can say, ‘my turn.’”). Additionally, the professional can coach the caregiver to create a meaningful listening experience by listening for the microwave to beep indicating that the oatmeal is ready, and then encourage talking by expecting his/her child to verbally request “more” when he/she wants another bite. These simple extensions can turn snack and meal times into meaningful listening and language experiences, during which the practitioner can coach the caregiver to incorporate strategies such as wait time, withholding, narrating and sabotage. Meal time is usually very appealing for a young child, so caregivers can capitalize on that natural interest to create a motivating reason for communicating. Caregivers can be coached to incorporate sabotage by pretending to pour juice without taking the lid off so the child has to request that the lid be removed, withholding by only giving the child two or three crackers at a time so he/she has to repeatedly request more, narrating by describing the food preparation or talking about what the child is eating, and wait time by asking the child a question and waiting patiently and expectantly for a response. The most natural experiences a child has each day are based on the family’s daily routines. Daily routines are the single most important resource for activities to encourage listening and language development. After all, young children should be able to talk about the activities of their daily lives. Busy caregivers might go through these routines, such as eating breakfast or getting dressed, with the intention of accomplishing the task at hand quickly and efficiently rather than teaching the language. Professionals can point out that these daily routines are big opportunities for language development with the child. During sessions, professionals can promote listening and language of daily routines by coaching caregivers through the activities. The practitioner can demonstrate how to talk about what the child is experiencing, label objects and incorporate songs while performing the task of the activity. Caregivers can practice enriching the language of these routines, while encouraging the child to listen, imitate and respond. Everyday routines provide ample opportunities for meaningful repetition and this repetition reinforces the language of daily activities often and naturally. Additionally, these daily activities are familiar to caregivers, so they feel more comfortable talking about what they are doing than they might with less familiar activities. Many professionals plan various craft activities and games to motivate young children to improve their language during home visits. However, the language of crafts or games that are only played during sessions is less useful for the caregiver and child on a regular basis, and therefore less “bang for the buck.” Materials brought in to be used in the session but not left with the caregivers only allow for infrequent and potentially less useful language practice. Caregivers may learn from their listening and spoken language professional strategies for using certain games and toys for language development, yet may not be able to generalize those strategies with their own toys or during routine activities. If the professional brings toys for visits and then leaves them for parents to use between visits, this allows for more practice time. Yet, this means caregivers must set aside additional time during their already busy day to play with these specific toys that they might not otherwise do. They may also feel less comfortable with the strategies or language associated with toys or games that don’t belong to them. It makes sense for children to understand and use the language of their daily routines and activities because that will be most meaningful to them. Helping caregivers enrich this language is the most efficient use of the professional’s limited time and resources. Ultimately, practitioners work with parents through active and timely coaching to teach them how to use natural, everyday activities and proven techniques to prepare their infant with hearing loss to become a 3- to 4-year-old chatterbox whose daily life is filled with singing, reading, conversation and games with peers regardless of hearing ability in a variety of acoustic environments, so that children with hearing loss are ready for a mainstream school environment, self-advocacy and wholehearted participation in their community of choice. Ellie White, M.S., M.Ed., CED, is a teacher of the deaf at Central Institute for the Deaf in the pre-kindergarten/kindergarten department as well as a curriculum facilitator. She also serves as practicum coordinator and lecturer at Washington University’s School of Medicine Program in Audiology and Communication Sciences. White holds teaching certification in the state of Missouri in the areas of Deaf and Hearing Impaired and Early Childhood Education, as well as Missouri state principal certification. She holds professional certification from the Council on Education of the Deaf. White has published a number of articles and assessment tools related to instructing children who are deaf and hard of hearing. She can be reached at ewhite@cid.edu. Dorie Noll, MSDE, CED, LSLS Cert. 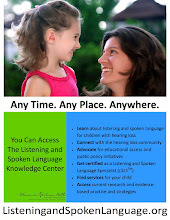 AVEd, is a parent educator in the Central Institute for the Deaf (CID) Joanne Parrish Knight Family Center. She also serves as lecturer at Washington University’s School of Medicine Program in Audiology and Communication Sciences. She has served as teacher in the CID Nursery Class, facilitated the CID Nursery Class program and provided early intervention services to families in the home. She holds teaching certification in the state of Missouri in Deaf and Hearing Impaired and is credentialed with the early intervention programs in both Missouri and Illinois. Noll is also a certified parent educator with the Parents as Teachers program in Missouri and holds professional certification from the Council on Education of the Deaf. Noll is the mother of a smart, successful, flourishing, 16-year-old son with profound hearing loss and a cochlear implant. She can be reached at dnoll@cid.edu.